Kamilah and Maxwell have known each other from work for 11 years. They used to see each other all the time but Kamilah was intent on not dating anyone she worked with and Maxwell had thought she was already seeing someone. Many years had passed and then one day Maxwell overheard that Kamilah was single. Maxwell, the gentleman that he is, then asked her mother if it would be okay for him to call her. With Kamilah’s mother’s permission, Maxwell made that phone call and they have talked almost every day ever since! I love how Kamilah describes their relationship like they’ve been in “love for a lifetime”. 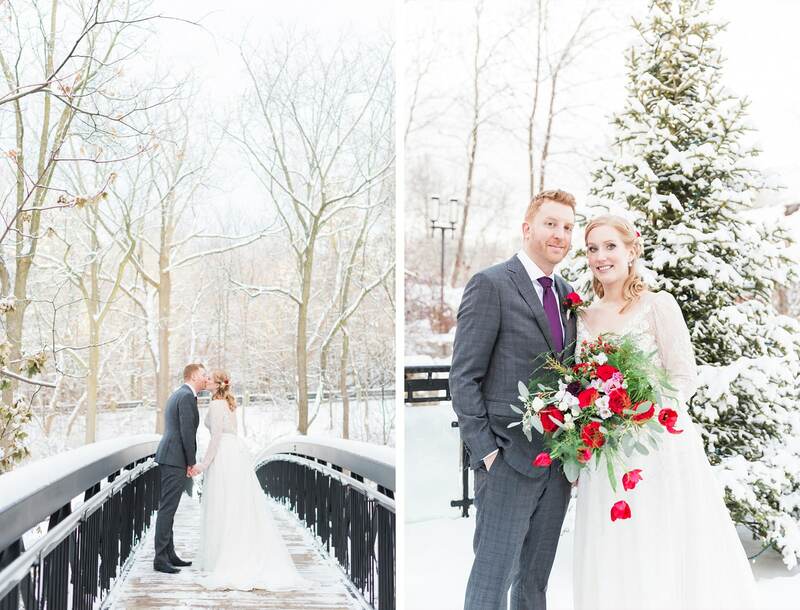 Kamilah and Maxwell’s wedding day at The Estates of Sunnybrook was classic and beautiful. 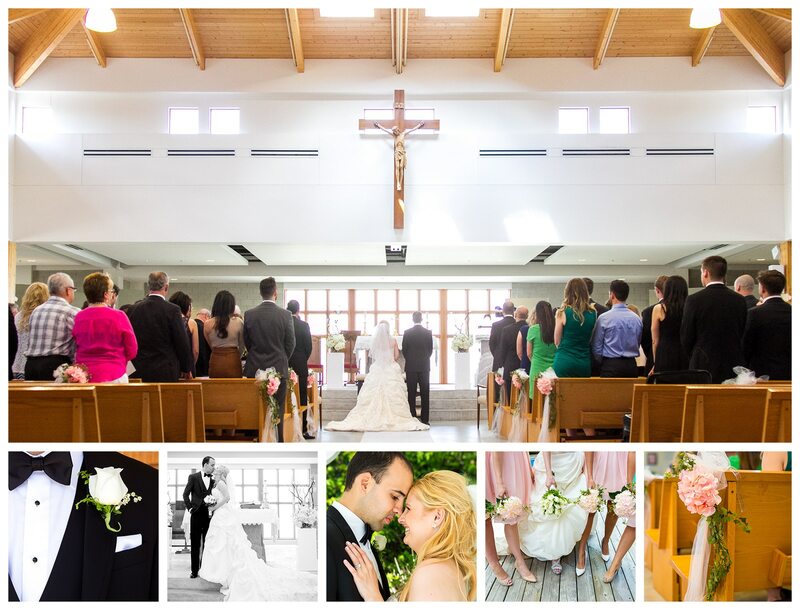 The aisle of their ceremony was lined with candles for a warm and inviting feel. The Main Ballroom in the Vaughan Estate was decorated in their blue, white, and silver/grey wedding colours. Kamilah and Maxwell’s wedding involved a lot of their family but the best part of the wedding was so cute Maxwell’s kids were! I loved Kamilah’s speech dedicated to his kids and how she was so excited to be officially a family together with them! 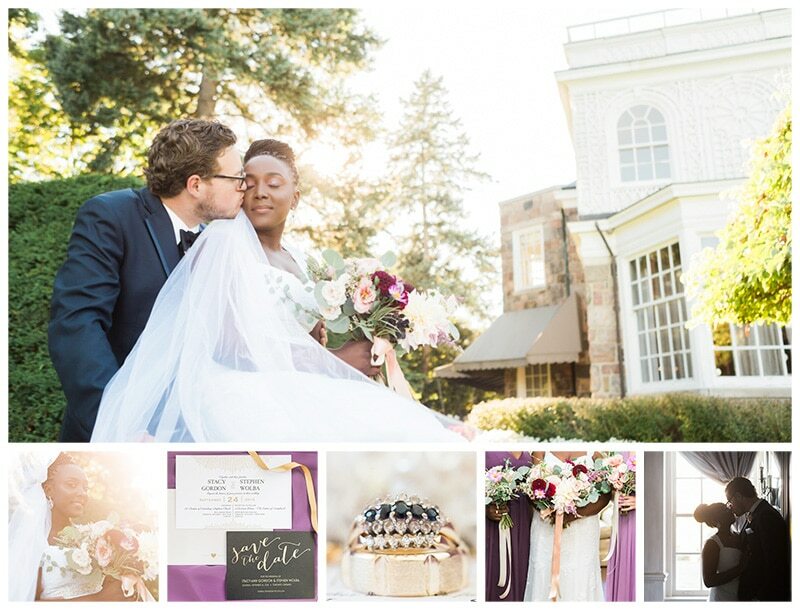 Kamilah and Maxwell’s wedding was a wonderful celebration of the coming together of two cultures – Jamaican and Ghanaian. Having a November wedding meant that we had some pretty stunning fall colours! But I have to say Kamilah and her bridesmaids looked gorgeous! Kamilah wore a lace wedding dress from David’s Bridal and blue Badgley Mischka heels to complement her wedding colours. Her bridesmaids wore rich blue Alfred Angelo dresses. So lovely! Beautiful wedding for a beautiful couple! Thanks for allowing me to participate. Beautiful. Exquisite. The photos are perfect. Kamilah and Maxwell you are a beautiful couple and your pictures capture the essence of your union beautifully. Congratulations again on your special day! Thank you for allowing me and my family to celebrate the day with you! Thank you for allowing us to share in your special day. You looked amazing. The pictures captured that and more. Congrats to Kamilah & Maxwell! Samantha Ong was able to capture the joy of this couple and the spirit of celebration of the day. Great work! Congrats!!! Such a beautiful wedding for a lovely couple. The pictures are gorgeous!!! Congratulations Kamilah and Maxwell on your special day. Thank you for including me in your special day wishing you guys all the best. Kamilah and Maxwell are a beautiful couple and the pics truly capture their love for eachother. The pics are gorgeous! What a beautiful and happy bunch. Many many blessings to you both Max and Kamilah. Nice work Samantha……can’t wait to see more pics. Your attention to detail is inciting. This wedding was absolutely beautiful! Amazing photos, cannot wait to see them all! Maxwell and I could not be more happy with how our photo’s turned out. Samantha and Eliot did an amazing job, and were so supportive throughout the wedding planning process and on the day of. We’ll be admiring our pictures forever! The pictures are beautiful, and the wedding was very nice. Congratulations Kamilah and Maxwell! Kamilah made such a beautiful bride. 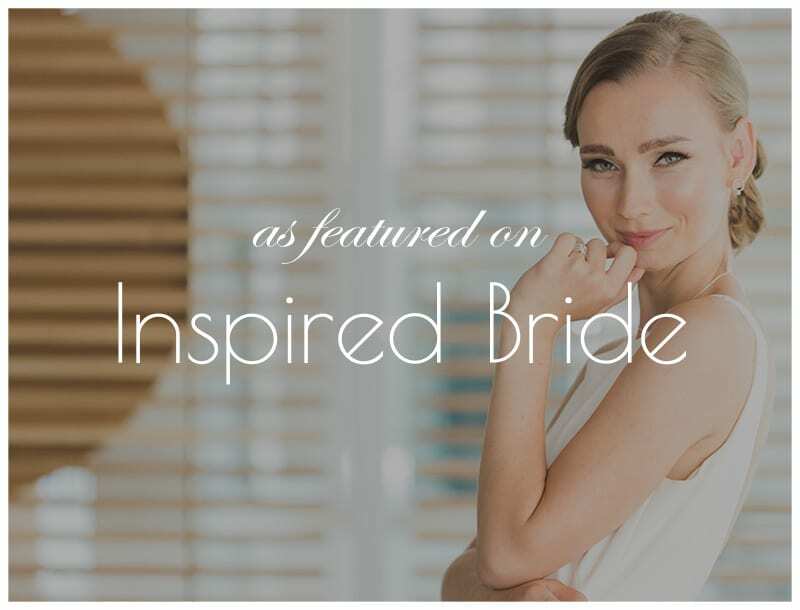 I see a lot of brides, however from the day Kamilah came to me for her makeup trial to the day of her wedding she always had that spark of excitement in her eyes. I had so much fun beautifying her and her bridal party. Thank you Samantha for capturing the Glam in everyone. Congratulations to my amazing and beautiful sister Kamilah and my new brother Maxwell!! It was an amazing night and these photos are stunning!! Congratulations to the happy couple .May you have a life full of happiness and love. Thank you for allowing Yangon enjoy your day with you. All the best . Congratulations my daughter. It was a perfect day, so all your hard work payed off. Welcome to the family Maxwell. Love your pictures. Thank you Samantha and Elliott for all your work on our wedding day. We’re very happy with how the pictures turned out, and we look forward to working with you again in the future. Nice pictures. Welcome to the family Maxwell.